It is nearly St Patrick's Day and I felt it was time to make some Irish Scrap elements! 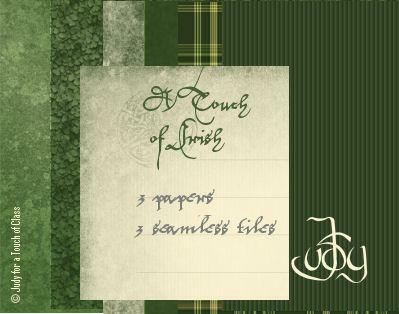 These papers and tiles form part of a larger kit of Irish Scrap suitable for a printable album page but adaptable for the web. They are created at 200 dpi. Heather Parkes (11 years ago) Inappropriate? Excellent thank you for all the patty's day stuff!